Education is the backbone of any nation. But what makes a great school education system? The education system has a significant impact on children’s interest in education and their upbringing. Technological advancement alone need not make an educational system strong. Many moral principles contribute to a healthy and prosperous education system. These seven characteristics are essential to be considered by students, parents as well as educators. Although most students would not love this subject, mathematics is the core subject which is used in the practical life of an individual. Whatever stream a student chooses in the future, knowledge of math correlates with academic success, future income, and logic. If you want to build an educational superpower, your curriculum should focus on strengthening your math skills. It is vital to forbid students to use calculators at the elementary and high school level. Focusing on vital and basic concepts and providing in-depth knowledge of the subject at an early age is beneficial. To lay the foundation of a strong school education system, you should value your teachers. It is challenging to pursue a career as a teacher just like a doctor or an engineer. Nowadays, most systems focus on using the latest technology rather than focusing on delivering quality education. Electronic whiteboards, tablets, and fancy doodads cannot improve the quality of education. Instead, the management should channelize their finance towards their teachers and developing the curriculum. The standard of a school must be set high. A school should maintain its discipline and take learning seriously. This attitude should reflect in the working of the school academically as well as in its extracurricular activities. Make the syllabus challenging for students so that they strive to perform their best. In Korea, drivers are known to be issued tickets if they honk outside test centers. In Poland, students must wear their best dresses for exams. Students usually need additional assistance, and they seek help from tuitions and private institutes. A strong school education system should provide extra support to students that require it. In countries such as Finland, almost half of their students receive some special or remedial education until they turn 17. This curriculum aims at improving language, math and reading skills and helps in overcoming learning difficulties in students. This extra help is provided in the school itself. Curriculum and examination should focus on brief, essay type questions wherein students can explain their understanding of the concept, rather than multiple-choice questions. It will help students to work collaboratively to solve their problems. Even the highest performing schools have imperfections and dissatisfactions. The key to becoming perfect is to accept the flaws and keep improving. 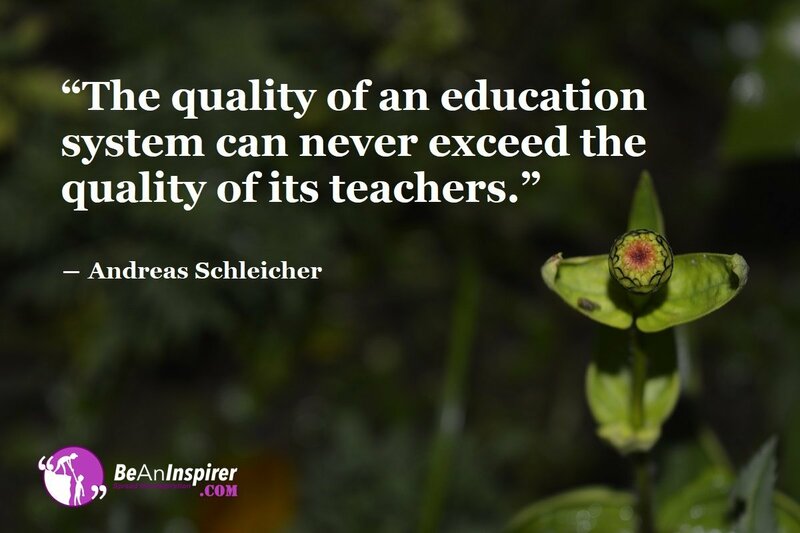 If you have any more thoughts on creating a healthy school education system, then do share them with us!